Of course I didn’t just make savoury for the barbecue – helping make pasta and paneer and creating a dip is fun and all but seriously, so not brainwashed! Their apple pie recipe in itself was good but I have to admit, I was not happy with the lack of cinnamon and vanilla essence. So I jazzed it up – a lot! It turned out to be a spicy, warm and delicious deal which, I am very proud to say, actually had people coming back to seconds! 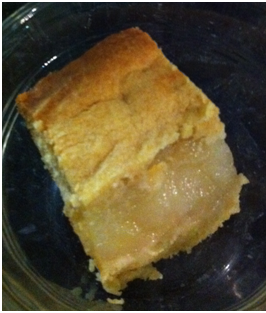 My brother, such a sweetie-pie, actually said it tasted like Sara Lee’s or Nanna’s apple pies we used to bring home before I got into baking!!! 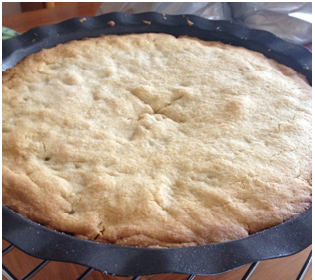 So enjoy this rustic and delicious yet totally simple apple pie!!! I swear you won’t regret it! 13. Sprinkle 1-2 tsp of brown and caster sugar mixed together on top of pie. 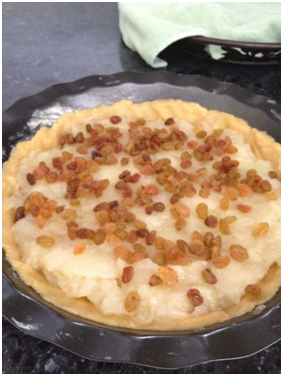 CCU… I’ve never used eggs, sugar or vanilla in a crust and I wondered if I’d do it this time (US Thanksgiving this week). I measured and mixed mine today and then blogged it. I decided to stick to my standard for now, but am really curious about your sweeter version (and I do love vanilla in anything). First of all – Happy Thanksgiving!!! Secondly, so do you use a graham cracker with melted butter crust? Because I have also made those and it tastes great with a touch of vanilla as well 🙂 Let me know how everything turns out! 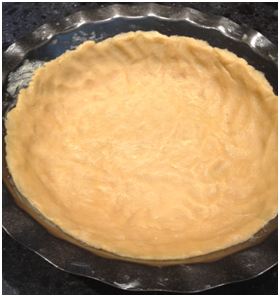 CCU… I have used graham cracker crusts, but in this case I made a basic crust with flour, salt, butter, shortening and water. Here’s how: http://stepbystepinthekitchen.blogspot.com/2011/11/holiday-pie-crust-prep.html Some years I’ve made a vegan pumpkin pie with a store-bought crust (vegan also, though I can’t remember the brand). I love the touch of raisins on top of your apple pie. 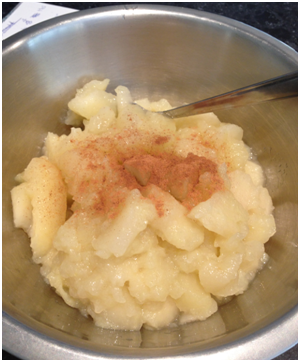 Thanks for the comment – raisins are one of the tastier dried fruits which I think are made for apple-cinnamon desserts! I love the demolished picture! Can I have my piece ala mode?